The hot desert wind blows the ancient sands away from the base of the pyramids as trumpets herald the entrance of the great queen Cleopatra. 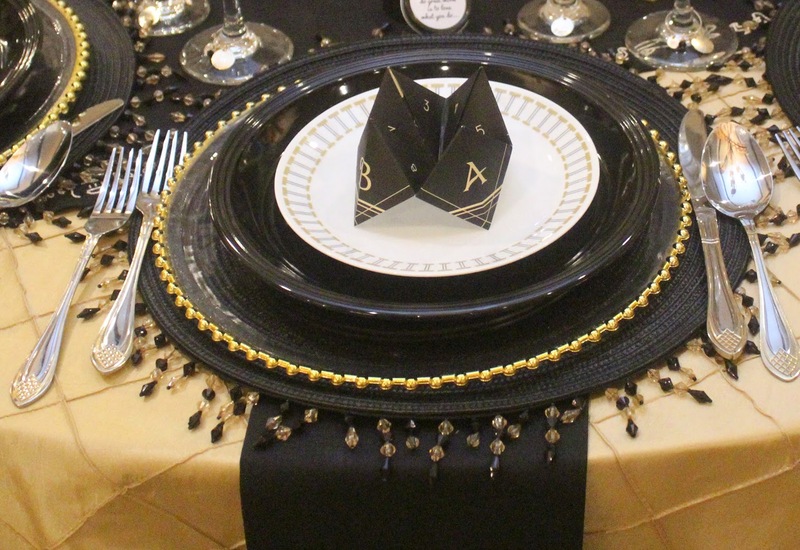 The rise and fall of the fabled queen was famously told in one of the most anticipated movies of all time—and our inspiration for the table top competition we did at BASH Conference 2015. Cleopatra. The theme was Old Hollywood, and we pulled out all the stops! I can't wait to tell you all about the conference - what we learned, who we met, what we saw. But first, I wanted to tell you about our table! Now you know GreatStitch is not just Brenda right? The team is Brenda, Bob (my handsome hubby), Rhonda (my lovely and talented daughter), Manny, Amanda, Dave and Faye Young (my amazingly helpful parents), and now Kensy (my gorgeous daughter-in-law), and my son Bryant! 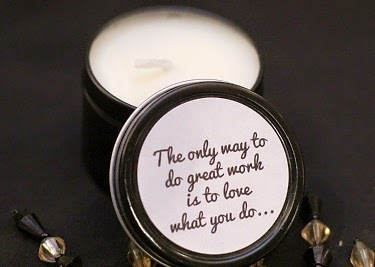 You can't ship to all 50 states and 10 foreign countries and be the Woman Owned Business of the year and not have help! 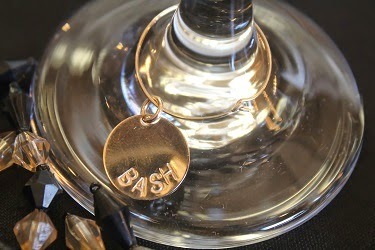 So, we thank our team first for all the love and heart you put in to making our table at BASH this year such a huge success! 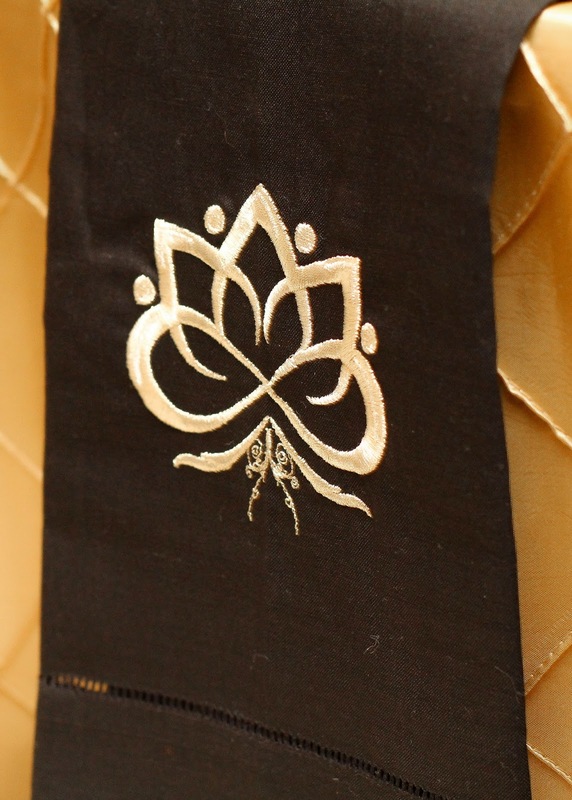 Black and gold were the colors of the competition. 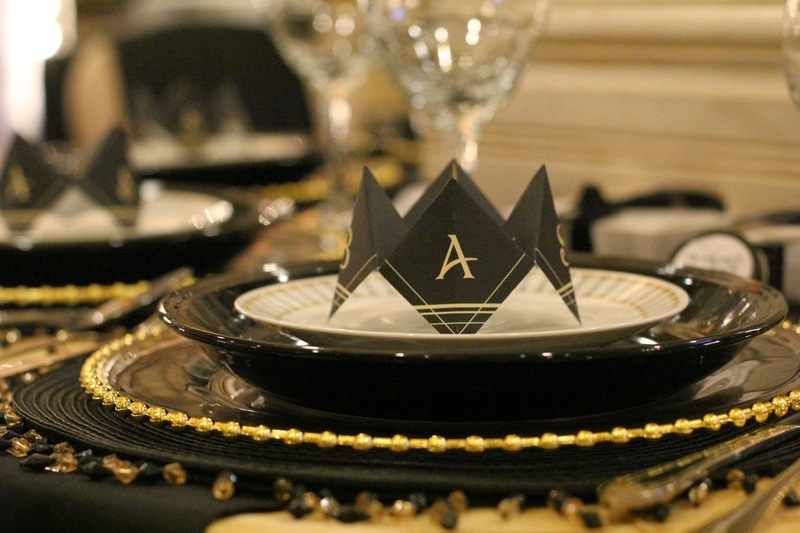 We updated the ancient Egypt theme with a little bit of Gatsby and voila! 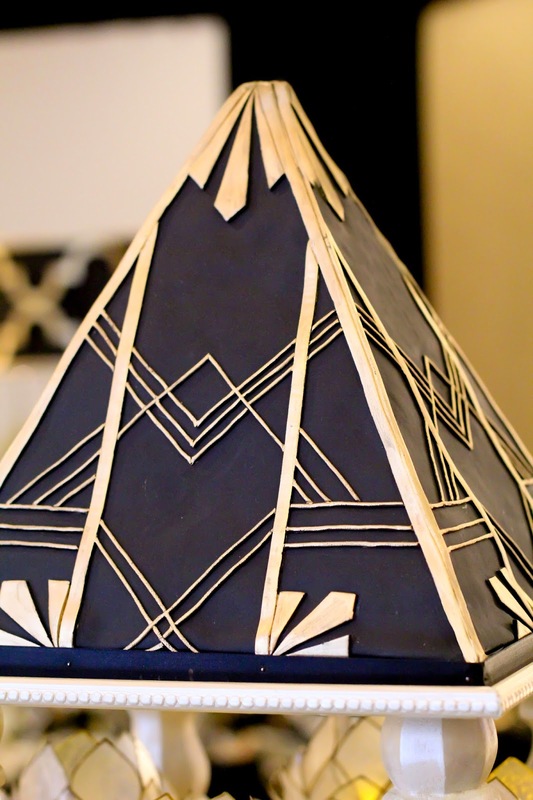 Our centerpiece was topped off by a stunning pyramid cake from our dear friends at All Things Cake. Everything they do is the stunning! They never ever disappoint with their artistic abilities...and they're right here in Tulsa. And the gold stand it is sitting on you ask? Well, my sweet dad was at it again (and the rest of my family). I'm always so proud of what we pull off! I'm looking forward to sharing all about how we created it! 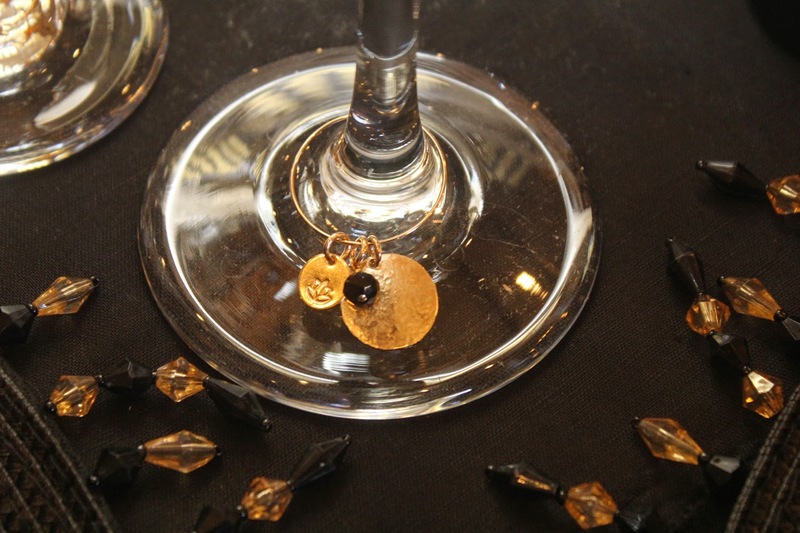 Malisay Designs made the most beautiful charms for the goblets. They were 24K gold! The people who sat at our table got to take them home and could write her for a chain! She customized them especially for the convention and our table! 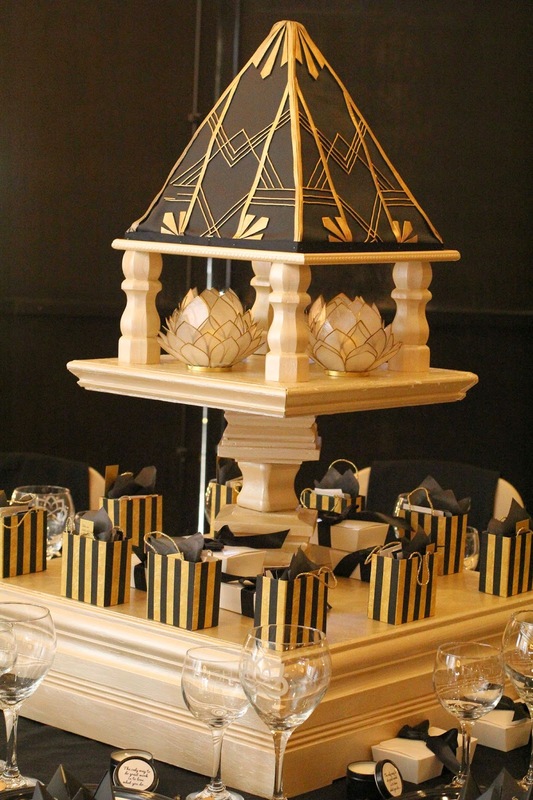 Red Kite Candy was so great to provide favor boxes on our Cleopatra table. You cannot imagine how her candy tastes, until you taste it! I am recommending her with my whole heart. She is a lovely person and her candy is beyond anything you can imagine! Charlie's factory has nothing on her! 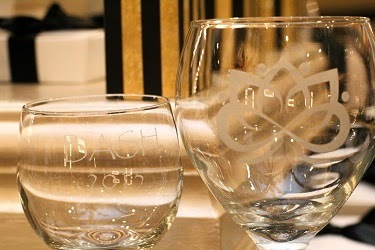 Case Custom Creations took our lotus design and custom-etched the goblets we used. Talk about a "wow" factor! We really loved how they turned out. 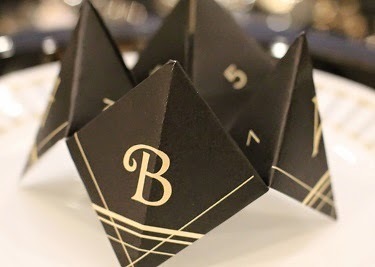 Check out these "Cootie Catchers"! Abbey at Chips and Salsa Designs - Wedding Stationary did them for us! She took my scribbles and made them into a show stopper! She melded the whole theme together in one piece! 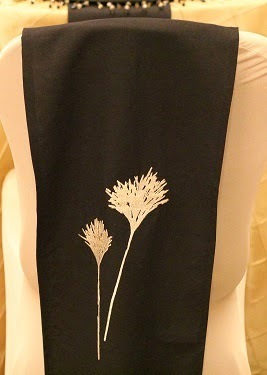 So glad we found her in our Etsy search - here is her stunning shop! Her paper choices are beyond compare, and ones you don't find just anywhere!! The quotes inside all came from BASH's Instagram. Gypsy Canon is our photographer. We are always so pleased with what she does and this time was even more special because she was under such great time restraints and she still got the shots we needed to tell you all about what we did. GreatStitch would not be "great" without the help of my family. We found Sandy's Candy Bags on Etsy, and she came up with a little goodie bag that we thought epitomized the feel of the Egyptian men at the time (or at least Hollywood's version). We also met a new friend at BASH. Candles and Favors told me about her candles the first night we were there, so of course I had to see if she brought any along...she did, and you would not believe it, they were black!! They are so adorable and the fact that they had a lovely message that fit perfectly with the conference was just more than I could stand! They had to go on our table! Of course, we added the GreatStitch touch to the table. 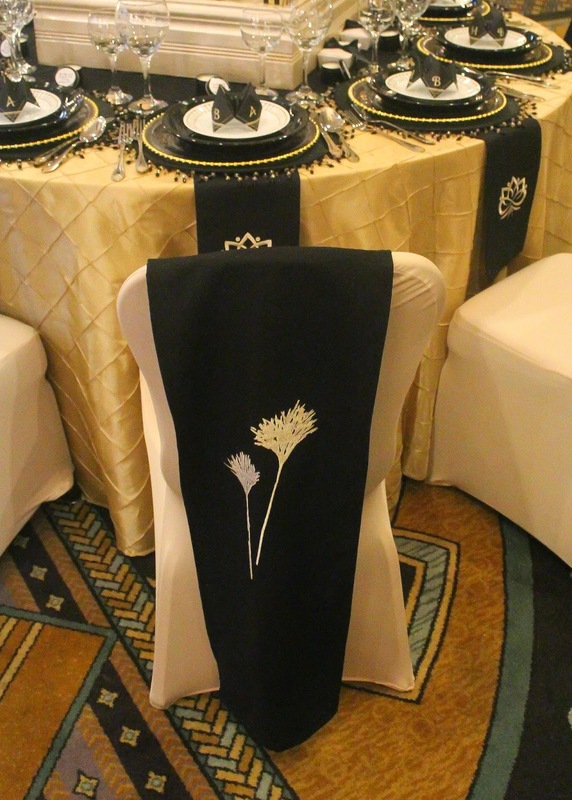 The napkins, table runner, and chair covers had an Egyptian flair done with metallic gold thread. You will also see GreatStitch in the placemats that were $1 finds at Walmart. We added beads to depict Cleopatra's beaded hair in the movie. Our flatware was a Craigslist find! 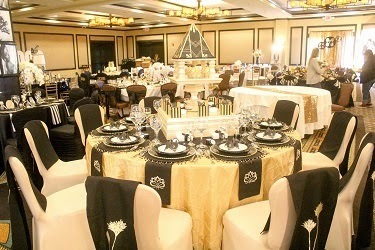 They tied together the pyramid theme and the gold with the silver flatware in the rest of the room. In our goodie bags, we had some great sponsors! We asked some of the people we worked with this last year if they would like to join us in the table. One of them, my dear friend Heidi at Party Prepaganda, even made special cards that told everyone who did the table! Aren't they the best? 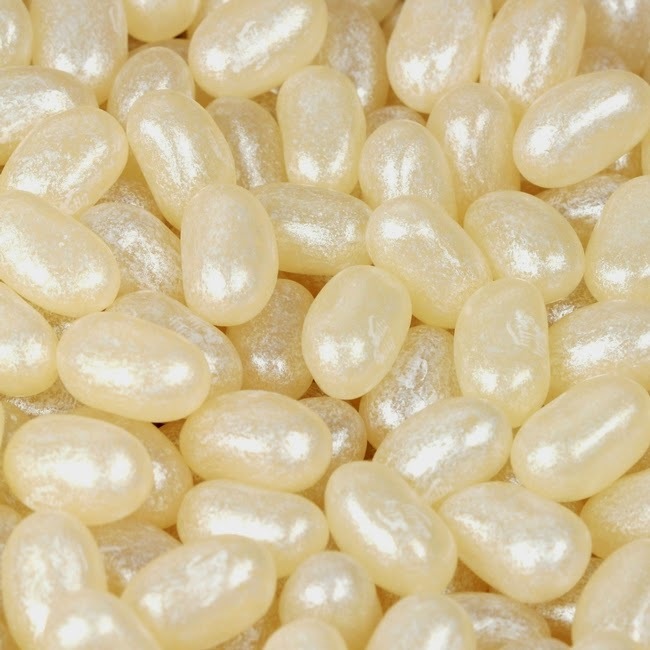 Jelly Belly Candy Company was at the conference, and I got to talking with them and they were so kind to provide Champagne Jelly Beans for our bags! This flavor is brand new and the perfect color for our table!! And have you tasted their Raspberry Jellies? I'm in love! Some of the people that contributed to our goodie bags went out of their way to put things in them that were themed with our table! Party Prepaganda makes beautiful custom envelopes! And these were no different! 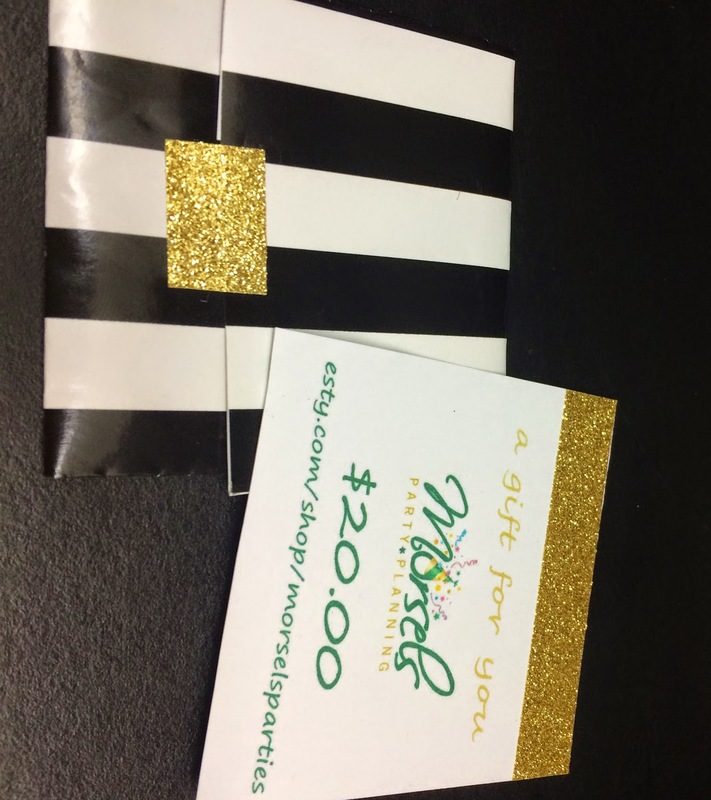 Morsels Parties made custom Gift Certificates! And Piggy Bank Parties...well we all know what they do with favor boxes! 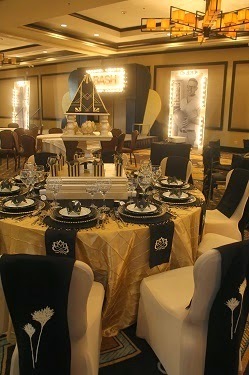 They shrunk down this King Tut box Jen Carver at Banner Events used in her lovely Cleopatra party! We have used several of their things in the past and there will be more in the future. 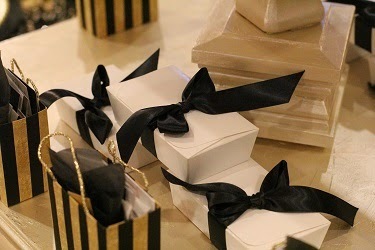 They are the gold standard for favor boxes in my book! Promise Pretzels also sent along a lovely gift certificate. I know the winner will be so happy to use it! Her pretzels are so adorable! Then finally, in our lovely gift bag, we had some awesome sponsors that sent certificates for our bags. We were so thrilled they were willing to join us! Twinkle Twinkle Little Party, Autumn Lynn's Chocolate Sins, Tutus and Bowties, Modify Ink, Lemonberry Moon, and our lovely charm maker Malisay's Designs. 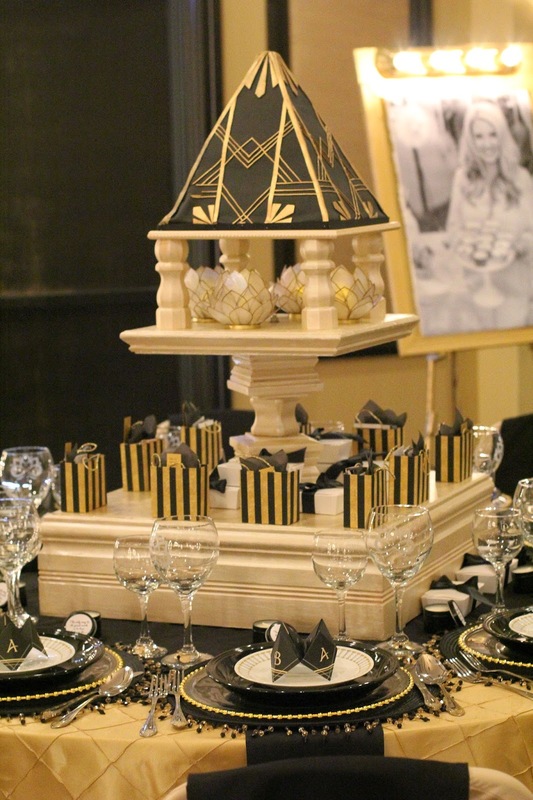 We were so glad that the people that sat at our table had a lot of really great stuff to take home with them to remember the Old Hollywood Dinner at BASH 2015! We thank our sponsors from the bottom of our hearts. None of these are paid sponsors. They have pitched in and helped GreatStitch at some point in time this last year. They are all people I believe in and love to work with. 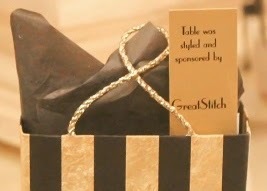 They are the backbone of GreatStitch Parties, and we wanted them to be with us in our success at BASH. This is just GORGEOUS, Brenda! Perfection! Thank you Kristen! It was an awesome conference! Oh thank you! We had a great time with Cleopatra's Egypt being great inspiration! Your table was beautiful!!! And it was so lovely to meet you at BASH! Thank you Shauna! We sure had a great time at BASH! Talia it was so great to meet you at BASH! Can't wait to see what this year brings! 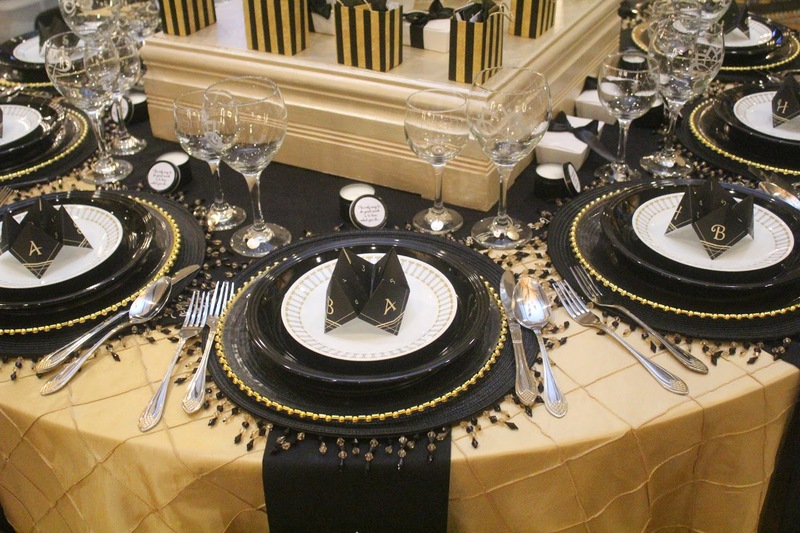 Wow, your tablescape and all the details are amazing. Gorgeous! I love the color scheme. What a fun theme. @2009-2019 Property of GreatStitch. Simple theme. Powered by Blogger.